The Bell Qualifier DLX Helmet comes jam packed with the great features of the Qualifier at an impressive price. The DLX also has the ability to house a Sena SMH-10 Bluetooth communication unit (with the proper adapter plate). This is far-out for a helmet of any ilk, much less one that will come at an entry-level price point. 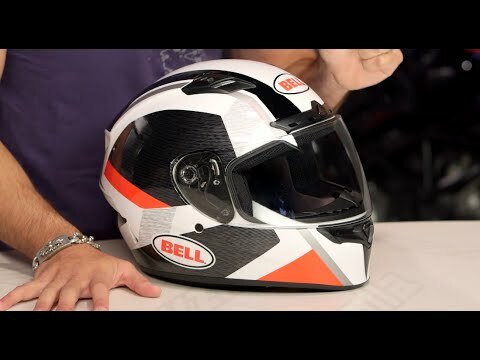 Both of these features will offer a massive value-add to an already popular helmet. I purchased this for a training course to get my license. This was a very good deal. The look of it is awesome, I changed the clear lens to the dark out which was perfect all day. Airflow was pretty good until we stopped which I imagine all helmets have that problem on a hot day. I ordered a large which was very snug around my cheeks but made me feel secure and protected. Helmet came in a nice carry bag that came in handy all day because I was paranoid of scratching my awesome helmet. No regrets! 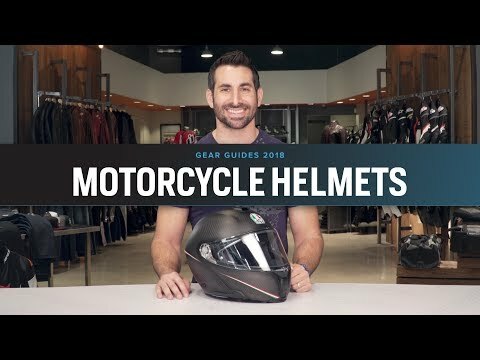 I came close to buying a $400 Shoei but with the reviews I read and the Revzilla YouTube video I was convinced this was the right first step. Very satisfied with this purchase. The helmet fits perfectly. My measurement is 23” and I bought size Large. It feels light and comfortable while riding and I haven’t had any issues. The shield is very easy to change out and I love that it also came with the dark smoke shield. The only negative thing about this helmet is the noise level, mostly on the left, due to the cut-out for Sena headset. Hopefully, when I purchase the headset, the noise will be reduced. Overall, great helmet for the price! Best bang for buck without a doubt, DO NOT BUY clear or tinted visor it comes with both so if anything buy a slighter tint or different shade all together. Great airflow channels in the chin, forehead and back top of the head. Side compartment for you Bluetooth communications and quick release for your visor. 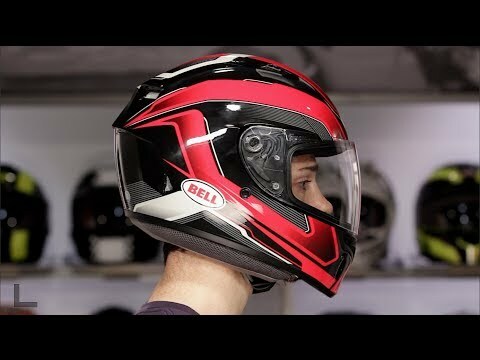 Never thought a helmet around 150 could be as good as a shoei or another top of the line helmet. You will not be disappointed. Just a few little things! So this helmet has been very good for me thus far. My only complaint to date is that the small fabric handle on the strap loops is falling apart pretty quickly and I am not abnormally rough. Second issue is there is a piece of fabric that rests under the chin that as soon as I grabbed when I first got the helmet tore out of the plastic strap holding it in place... These are both fairly unnoticeable cosmetic issues and do not really detract from the helmets functionality. As for the helmet in every other regard. It is pretty awesome! I don't feel it dragging my head down due to weight, I have no issue with fit or comfort while riding, air flow could be a little better but it is a steal for the price! Well done Bell. Just work on your stitching quality control and you've got what has to be one of the best helmets at this price range.. I've been riding with a Bell Qualifier Flying Tiger for the past 2 seasons and upgraded to this one for the more discrete look. The helmet is comfortable, doesn't press against my huge ears and I have worn the helmet for up to 4.5 hours straight. The chin strap cover works, and after a few minutes of riding I don't notice it. The matte black look is very nice, the helmet looks very sleek and stealthy. The black visor that is included is as dark as the pictures make it look. The visor system is awesome, I love how easy it is to switch between them. It makes cleaning so much easier. Plus my visors from my old Qualifier work on the DLX. There is wind noise, but it isn't terrible for what I paid. The airflow is my only real negative on this helmet, the chin vent works alright and keeps the visor clear. But the top vents don't have that noticeable of an effect for me, and the switches on the very top 2 vents are very lose so it is easy for them to open or close on their own. Going on 4 years now of this helmet. Haven't had the opportunity to test it's strength/durability for a crash (knock on wood/praise some higher power), but it feels solid and sturdy. I have both the clear and the dark face shields and they take 5 seconds to switch out, which is super convenient. Note: this has been my only helmet thus far, but doesn't feel too heavy/clunky, airflow seems adequate even on New England 90 degree days in traffic, little foggy if you breath through your mouth on a weird rainy/low pressure day, and looks super sick. This is my first helmet and I love it. I'm a 61cm and the xl fit perfectly and is very comfortable (after a couple of days breakin). Air flow is good. The chin strap does seem a little too far back where it sometimes hits against the front of my neck but that's no big deal. Can't beat the price for such a stylish and well fitting helmet.